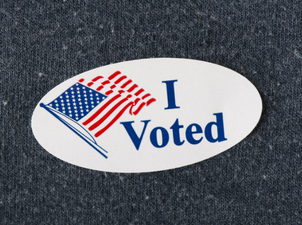 With midterm elections rapidly approaching, it is time to start thinking about primaries. While certain state primaries have already passed, there are some that are just around the corner! Primaries are preliminary elections used to determine which candidates will face off for the general election scheduled for November 6, 2018. With a surge of new candidates on the ballots, particularly women, it is important to ascertain whether or not these candidates will implement the policies you care about if elected to office. So with all that in mind, what are the important questions you should ask yourself before voting in your state’s primary? How will the candidates lived experience and background contribute to a more nuanced and diverse Congress? When you see photos of most Members of Congress you will notice a striking pattern: they are typically white, middle-aged men. Imagine what it would be like to have more diverse voices in our offices– people of different genders, races, and religious affiliations. Take women as an example: according to Vox, women currently constitute less than 20% of Congress. That boils down to just 22 female senators and 83 female representatives in a Congress made up of 535 people total. It’s even more discouraging when you look at the number of women of color in Congress. According to Axios, 30 states have never elected a woman of color to Congress. Instead of leaving it up to the men to decide, we need female perspectives on issues such as paid-family leave and childcare. There is hope in the fact that more women are running for Congress, but that hope will only be realized if we take the extra step and vote for them! What is the candidate’s approach to the importance of human dignity for all in local, state, and federal policies? As Catholics we hold dear the belief that all people have an inherent dignity: rich or poor, citizen or noncitizen. We do not get to decide whether or not someone is not worthy of love. In Pope Francis’s new apostolic exhortation he calls us to value the life of migrants as we would any other life. Multiple candidates for the midterm elections have come out with flagrant anti-immigrant agendas. There is no place for these egregious mindsets in Congress. We need elected officials who recognize that there is value in every human being and who will enact policies that allow all to reach their full potential. This means recognizing the plight of those who cross the border and the dignity of all people, not making unsubstantiated assumptions about them! How will the candidate respond to the most vulnerable members of their community? Back in November, the Republican tax bill passed, promising tax cuts for the wealthy largely at the expense of the poor. The new law is estimated to increase the United States debt by over $1 trillion. Almost immediately after its passage, Republicans pivoted and took aim at safety net programs. This can be seen in the recent efforts to introduce Medicaid work requirements, SNAP work requirements, and harsh policies imposed on those who receive federal housing subsidies. In another blatant show of hypocrisy, several House Representatives voting for stricter work requirements and SNAP restrictions in the Farm Bill are themselves benefitting from the federal farm subsidies they will pocket if the bill passes. It’s one thing to claim to support the needs of your constituents, but it’s another to fight for policies that actually help them. Without access to federal assistance programs, many families will not be able to stay afloat. When casting your vote, ask yourself: can you rely on that candidate to protect the needs of people who are marginalized? When voting for a candidate, it is important to be informed about their platform. Furthermore, as Catholics, it is important to make sure that the people we elect to office represent our closest held values—whether that be dignity of life, care for the poor, or others After all, these are the people that will be representing you and all you stand for over the next few years. That should not be taken lightly! This entry was posted in Emerging Justice Seekers, Front Page, Voting and Democracy on June 14, 2018 by maryc.